On-Line. You need to be registered to do this but, once registered, you can order repeat prescriptions on-line any time day or night 365 days a year. The items you can order are on the screen and you simply tick the items you require. Telephoning the Practice on 0191 5282222 – please have your sideslip to hand. Please ring after 10am. This service is only for items that are on your side slip: requests for further supplies of any other medication that you have had off a clinician will need to be agreed by a GP and may require a consultation – please contact reception in this case. Please make sure you request any medication before you run out: prescriptions take two working days to process – scripts handed in on Friday after 9.30am may not be ready until Tuesday 4pm. The practice can now electronically send most prescriptions direct to a pharmacy of your choice. Contact reception to nominate your pharmacy and, each time you request a repeat script, your script will be electronically sent to your nominated pharmacy, ready for you to pick up or even delivered (if available). You can even order your repeat prescription on-line, any time day or night, if you register for our on-line service (click here for more details). Please note that Electronic Prescriptions still requires two days to be processed. Due to an increasing number of requests for repeat prescriptions to be issued urgently, we have had to review how we handle these requests in order to provide safe and fair service to all our patients. If you ask for an urgent repeat prescription, you will need to give the reason for your request. You may also be required to contact the police, in some cases, if the medication has been lost. Some medications can safely be missed for a few days and you may be advised that your prescription will be issued routinely. 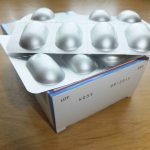 Alternatively, you can take your repeat prescription counterfoil to your usual pharmacy and they can issue you with a small quantity to tide you over until your repeat prescription is issued; there will be a charge for this. We will not issue urgent prescriptions for items that can be bought over the counter. If your medication can not be missed, the item will be issued as required. All urgent repeat prescriptions must be collected in person from the Practice. You can down load our Practice Repeat Prescribing Leaflet by clicking here. If you would like to hear an audio version of repeat prescriptions, please click here.